Enjoy a guided tour during a beautiful Vero Beach sunset. 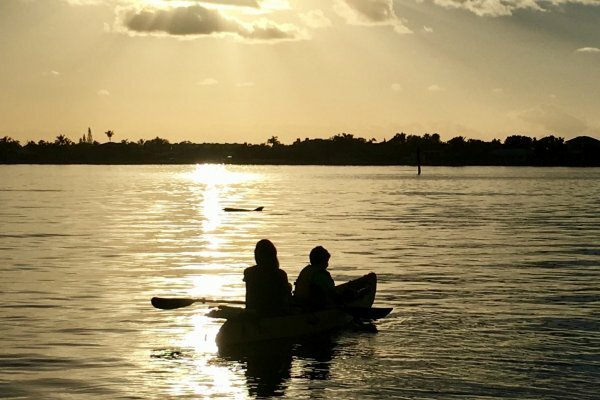 This relaxing tour is all about finding a nice spot on the Indian River Lagoon to watch the sunset. The bonus is that it’s also a great time to spot manatee and dolphin! Like all out tours and rentals, this tours includes a paddle board lesson, or kayak lesson, bottle of water, photos, sunscreen, and a memorable experience. Want to go out on your own? We can help with that too. 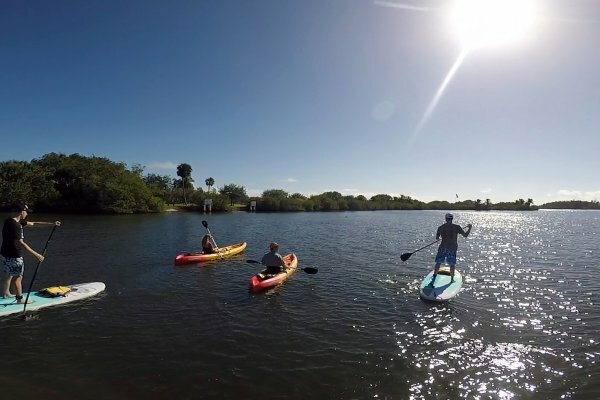 Our paddle board rentals and kayak rentals are also a great way to see the Indian River Lagoon. Like out tours, all rentals include a lesson, bottle of water and sunscreen.